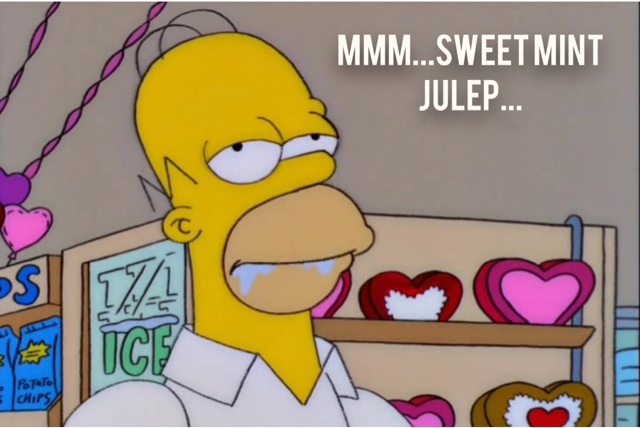 That's how I feel every time I stop by the Mint Julep Bar in Disneyland's New Orleans Square. It's the best!!! 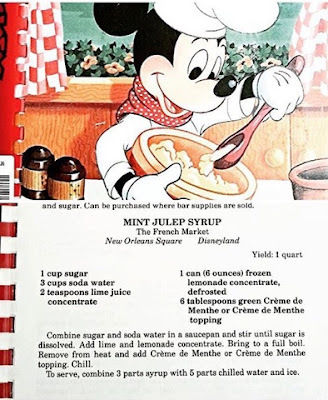 We recently posted on Instagram about how much we love this sweet drink, and the wonderful @airmiles2disneyland shared the recipe (from a Disney cookbook) with us! So we HAD to make it, right? Right?? I'm going to tell you, we had a bit of a hard time finding some of these ingredients, so we had to improvise a little! To start with, lime juice concentrate is impossible to find! So we subbed in regular lime juice and doubled the amount. 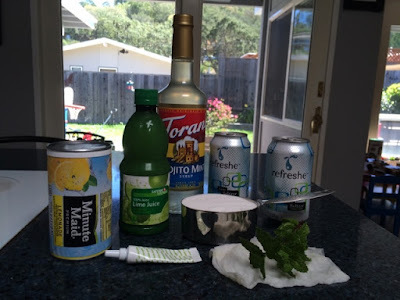 We also had a little trouble getting creme de menthe syrup, so we used "mojito mint." Lastly, we added green food coloring - looking back, we probably should have used a little more! Following the instructions above, we dissolved the sugar into the soda water, then added in the lime juice and (thawed) can of frozen lemonade. 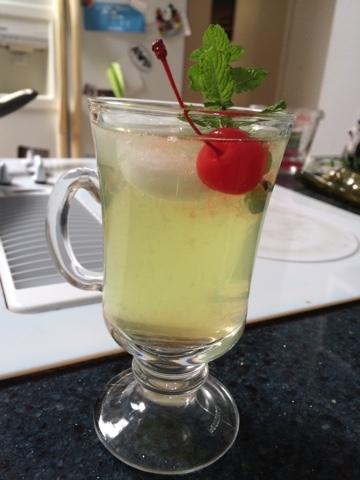 After it came to a boil, we added the mint syrup and then put it in the fridge to cool. This is so refreshing!!! Just like Disneyland. The only thing that would have made it better is if we were up to the task of making Mickey beignets to go with it! !